Hearing the words "feng shui cure" can trigger different reactions from different people, I know. We've all heard a million times about the good feng shui of mandarin ducks, dragons and wind chimes. However, rest assured there are many feng shui cures that both you and your house will adore, it is just a matter of understanding what a feng shui cure does. 1. A symbol that has been used for thousands of years in feng shui, such as the Tortoise, the Laughing Buddha or the Dragon and the Phoenix pair. 2. A symbol that is used in modern feng shui applications mostly for their expression of the 5 feng shui elements. A row of metal vases, for example, will bring a strong presence of the Metal feng shui element; a fireplace will bring the energy of Fire, etc. 3. A symbol that is specific just to you, meaning you have a strong connection to it because it speaks of good energy. A happy photo from your honeymoon can be a powerful feng shui love cure because it emanates the energy of love and happiness. So, let's look at these 25+ most popular feng shui cures to help you find the best one for your house! I'll start with one of the most loved feng shui cures - the vibrant, happy and lush plants. Most of us have had plants in our home at one time or another. Plants bring the vital energy of growth, renewal and healing - the most beautiful energies from mother Nature that we all need! Having plants in your home is also the best way to bring the Wood feng shui element, much needed for good feng shui in several areas of your home. Good quality air is tremendously important for your health and well-being, and so are the therapeutic qualities of essential oils. The ultrasonic diffusers make it easy - and so pleasant - to enjoy good quality air filled with healing aromas of plants. The peaceful, calming and centering energy of the Buddha-like figures - from the Medicine Buddha to Kuan Yin and more - can be brought into your home in many ways. You can choose a beautiful sculpture, a painting, or even a bright and shiny pillow like this one! It's a subtle, perfect and modern feng shui cure for any home. Crystals are such a great feng shui cure - they bring strong and healing energy of the Earth feng shui element. Crystals are also such a joy to have in our home! You can choose from a variety of crystal colors and properties and see which one your home - and you! - like the most. Fu Dogs are a classical feng shui protection cure that might not look well in any home. However, there are so many various designs for Fu Dogs, so if you really like the energy of this cure, you can sure find one. I love these modern looking Fu Dogs bookends, they look beautiful and stylish. 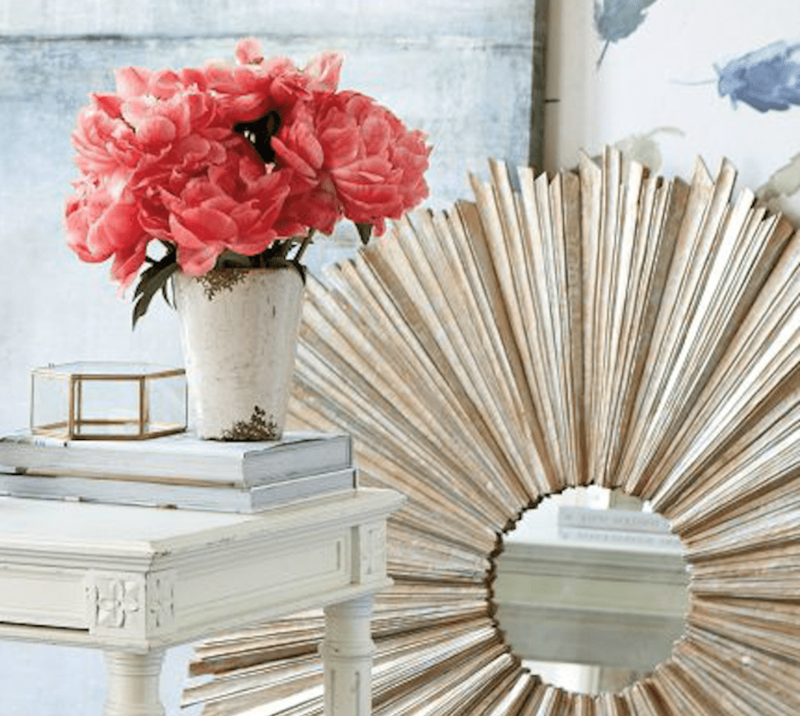 Mirrors are called the aspirin of feng shui because they are so powerful in so many ways. You can easily learn how to use mirrors skillfully in your home in order to create a better flow of energy. We have all seen beautiful aquariums in many Asian restaurants and stores. In feng shui, aquariums are a potent feng shui cure to attract abundance and wealth energy. There are specific requirements for an aquarium to meet the criteria of a good feng shui aquarium, as well as the location of the aquarium in any specific space. The lucky bamboo is a beautiful feng shui cure that has specific meaning associated with the 5 feng shui elements. There are also specific requirements for the best feng shui placement of the lucky bamboo in a home or office. We all love candles in our home so it is really easy to use them as a feng shui cure. Again, as with any feng shui cure, there are specific restrictions for the best use of candles for good feng shui. In addition, it is good to know that many candles contain toxins, so be sure to buy the best candles you can afford, especially in your bedroom. The double happiness sign is a classical feng shui cure for love and harmony in marriage. If you love the look and the energy of this symbol, the best way to use it is to display it in your love and marriage feng shui bagua area. The Dragon Turtle feng shui cure is a classical feng shui cure to attract wealth, abundance and good luck. Not many people like the look of this cure in their home, although, as most feng shui cures, the dragon turtles come in many sizes, colors and materials. The feng shui dragon is an almighty and powerful classical feng shui cure. If you would like the look of the dragon in your home, learn to use it properly. The symbol of fish is a very potent symbol, and not only in feng shui. There are several types of fish used as a feng shui cure; you can use them as live fish in a good feng shui aquarium, or as images in art. A good, high-quality fountain can create awesome energy in any space, and, luckily, fountains are also a powerful feng shui cure. Learn how to use them in your home or office. Ganesha is a symbol coming from the Vedic culture, and it has been widely accepted in feng shui for a long time. Learn to use Ganesha for good luck and removing obstacles. The feng shui crystal tree - also called the gem tree - is a popular cure that comes with all sorts of crystals. Most of the time this cure is used for wealth, as well as for health (depending on the type of crystals on the tree). The Laughing Buddha is such a popular feng shui cure, it's probably one of the most popular Buddha-like figures in feng shui. He is a symbol of everything good - luck, money, happiness and success. The goddess of mercy and compassion is very popular in the world of feng shui. You can see Quan Yin in most feng shui altars in stores, restaurants, as well as many traditional Asian homes. You might not like the look of Mandarin ducks - I don't care for them that much either! - but they are a very popular feng shui cure for love and marriage. Like them or not, it's good to know the reason why they are so popular as a feng shui love cure. The feng shui money frog is probably the most popular feng shui cure for money, at least the one that is attributed some miraculous powers, so even those people that do not like this cure are striving to use it. Should you use the money frog in your home? First, find out more about it, and then you can decide fro yourself. There is more than one money tree in feng shui, find out which one you and your home will like the best! The mystic knot is a powerful symbol with deep ancient roots. It is used in a variety of ways - in feng shui cures, paintings, jewelry, art, etc. See how you can use it in your home. The salt water cure is one of the most popular feng shui cures to deal with the negative energies of the so-called annual feng shui stars. The 3 secrets reinforcement cure is a mystical cure used in the BTB school of feng shui. However, once you understand it, you would use it in your feng shui work no matter which feng shui school of thought (bagua) you apply. The turtle is a symbol of longevity in most cultures, and the connection is obvious. In feng shui, the turtle is also a symbol for protection and stability. Learn how to use this symbol for good feng shui in your house or in your garden. Read: Which Direction Should the Feng Shui Tortoise Face? The symbol of the Dragon and Phoenix is considered to represent the ultimate marital bliss, so it is obviously used as a feng shui cure for harmony and vitality in marriage. If you like this symbol, learn how to use it properly in your home. The feng shui wealth vase is a powerful cure, I like it a lot and have made a video on how to make it for your home. It is actually an ancient cure that comes from the Tibetan Buddhist temples, read more about it and see if you are captivated by its energy. Read: What is a Feng Shui Wealth Vase and How Is It Used? The wind chimes are super popular in feng shui and often not used in the best way. Discover why the wind chimes are so popular, how to choose the best ones and how to use them for good feng shui. Outside your home. Do Feng Shui Cures Work?